The May bank holiday weekend heralds our move towards the examination period and the end of another academic year. It also offers us the potential to build on the excellent results from our switch off campaign this year to date. 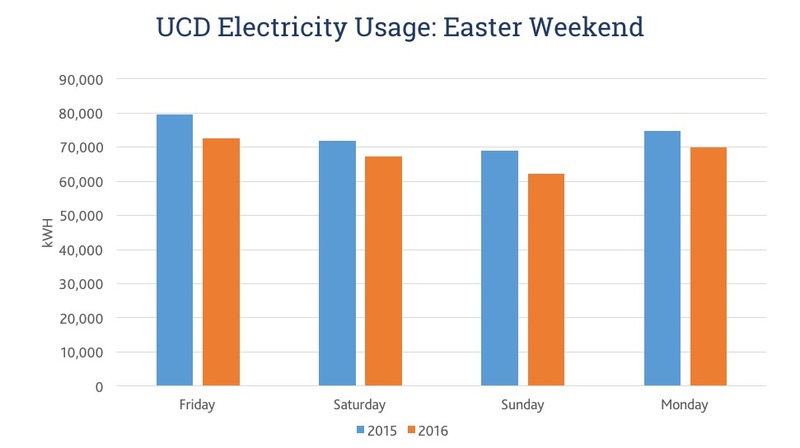 As you may have seen in the staff e-zine following the previous bank holiday, the Easter Bank Holiday weekend switch-off was very impressive, almost 8% less consumption than Easter 2015! So let’s continue this excellent performance this bank holiday weekend and continue our progress towards the 33% 2020 targets. 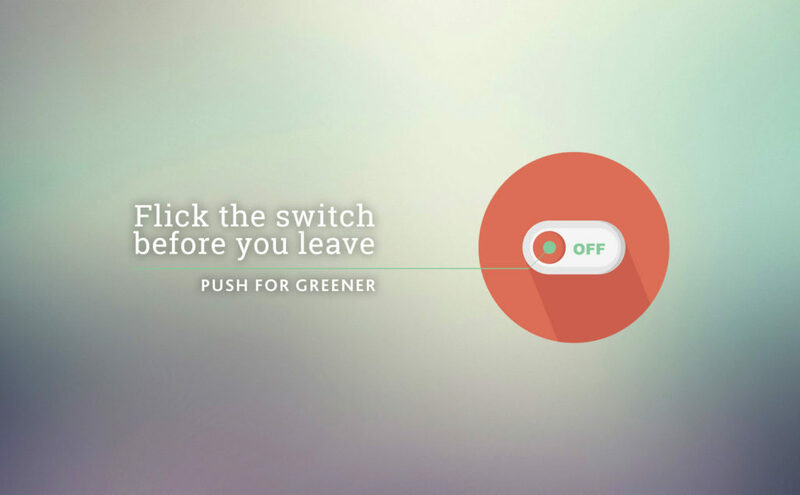 Please completely switch-off all non-essential equipment such as laptops, PCs, screens, printers, research equipment and fume-cupboards before you leave the campus this evening. This weekend we would also like to raise the issue of water conservation. Water is a valuable, scarce resource. In addition, energy is also used in the treating and pumping of water, therefore, when we save water we also reduce energy usage and associated carbon emissions. So before you go home for the weekend, please switch off any non-essential research or cooling equipment that uses water and check all taps and water supplies are turned off. We would also like to remind all of the UCD community that you can report leaks or other maintenance related issues through our website.